A day trip to Vermont recently got me thinking about the poet James Hayford, Amherst Class of 1935. 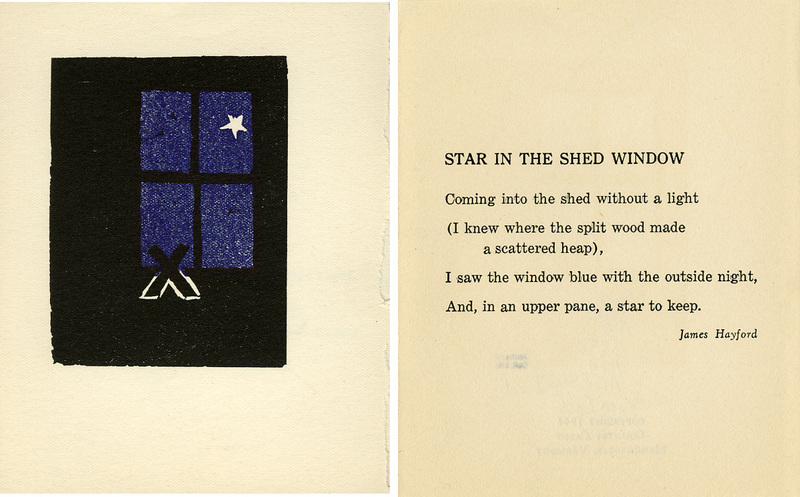 Hayford was that other Vermont poet, the one you’ve probably never heard of. At Amherst — indeed, throughout his entire life — Hayford was an admitted “disciple” of the more famous New England bard, Robert Frost. It is odd that Hayford, a Vermont boy with literary aspirations, had never even heard of Robert Frost until the fall of his sophomore year, when his parents gave him a copy of Collected Poems (1930) for his birthday. Hayford tells of how first reading Frost was a thrilling revelation: “In Frost’s book I found myself. This was my country; these were my people, my ways of thinking and feeling, my tones of voice.” (Preface to Star in the Shed Window: Collected Poems, xi.) Hayford had found his touchstone. Another condition of the fellowship was that Hayford was to promise to publish a book of poetry within twenty years. Hayford was being asked to sit under the Bo Tree, like the Buddha, to find enlightenment, or in his case, his poetic voice. As we see in this letter from Frost to Hayford written shortly after graduation, the conditions laid down were meant in earnest but never with the intention of being stringently enforced. My safest way is not to think of it too hard, just as yours is not to try to profit too much. Easy does it for both of us. […] [I]t is not too strictly for meditation nor too strictly for loneliness, remember. Into your own hands I commend you. These formalities concluded, we will say no more about it when we meet, as I hope we shall now and then forever. Hayford’s poems are very accessible and they often sound spontaneous. They are almost never “confessional.” And they are laconic in the prototypical New England style — they make an observation and are done with it. Below are a few examples. Open upon the universal deep. And live attentively, without improving. The pair inside remember having hayed. He who will hay no more, come rain or shine. The old man’s breeches drying on the line. 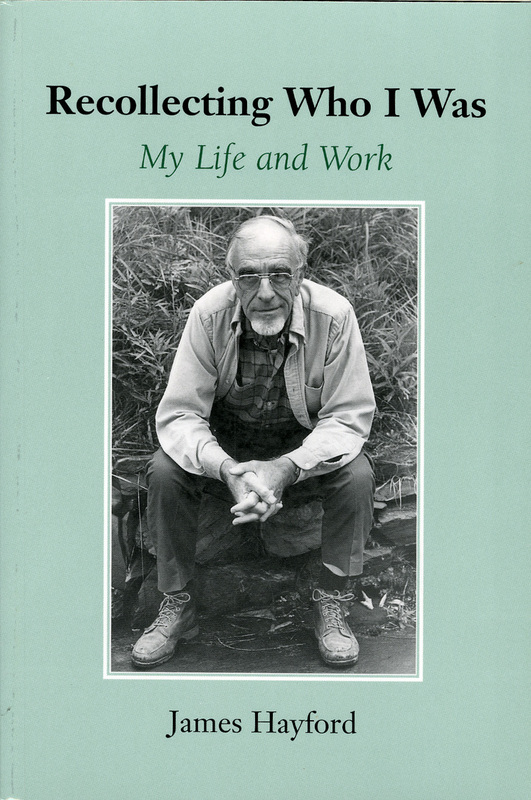 Hayford’s precision with poetic forms, his often startling observations, and his laconic, often wry New England wit, remind me of another local poet, Robert Francis. 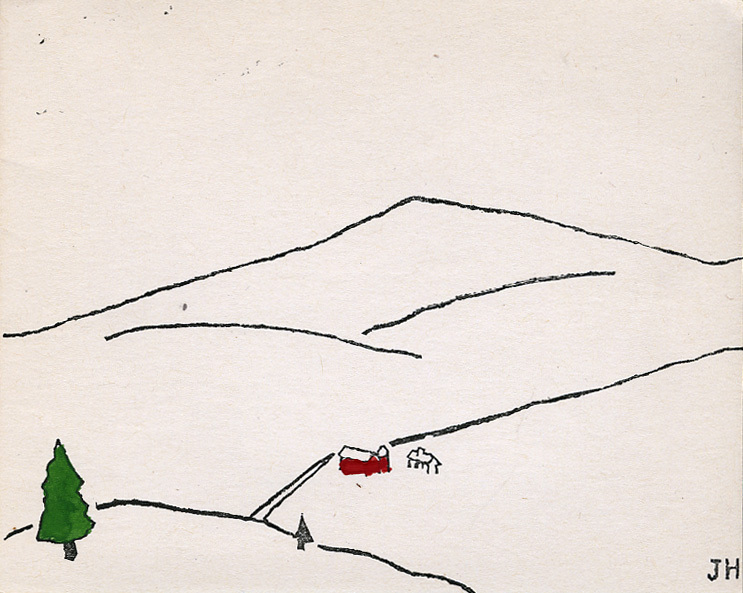 Francis, too, is a “poet’s poet” closely aligned with Robert Frost. 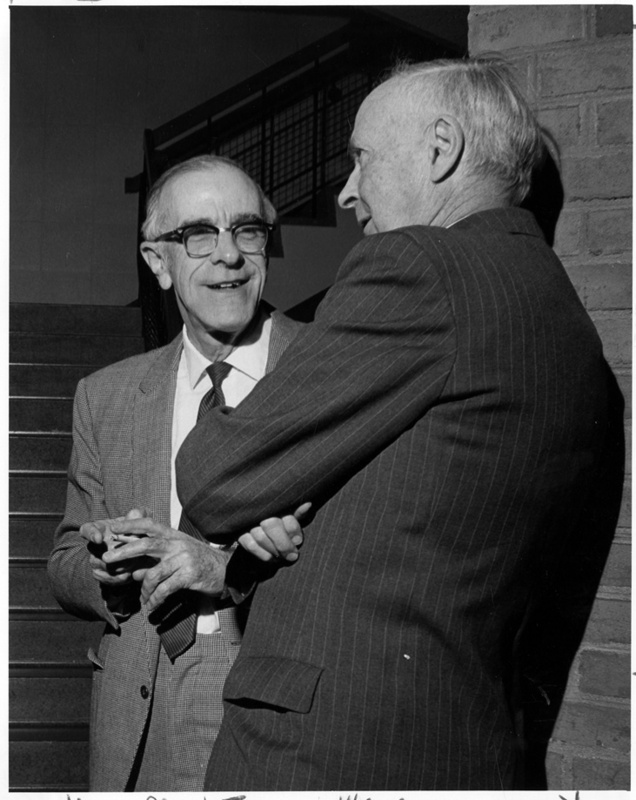 Coincidentally, I came across this photo of Hayford together with Francis when they were at an event at Amherst College. The Amherst College Archives & Special Collections holds a comprehensive collection of Hayford’s published books as well as a collection of poetry manuscripts which he gave to the library over a long period. These include both draft versions and fair copies of several dozen poems. (Finding aid for the Hayford Papers is here.) 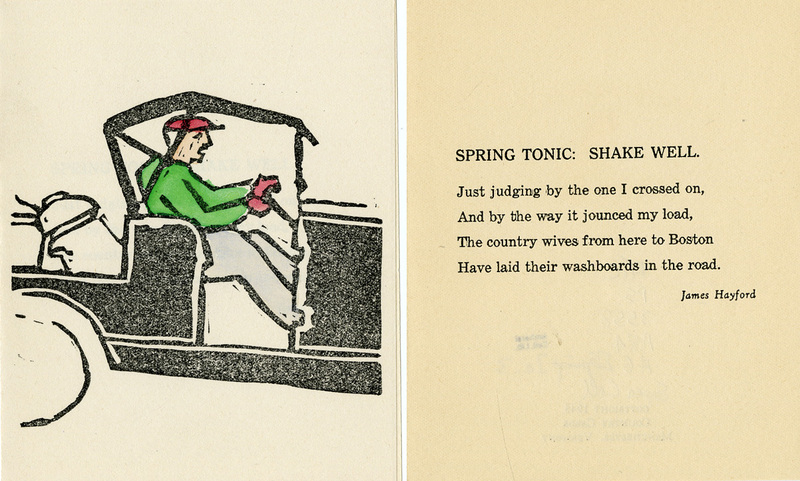 In addition, we have an assortment of cataloged broadside poems and cards executed by Hayford himself.